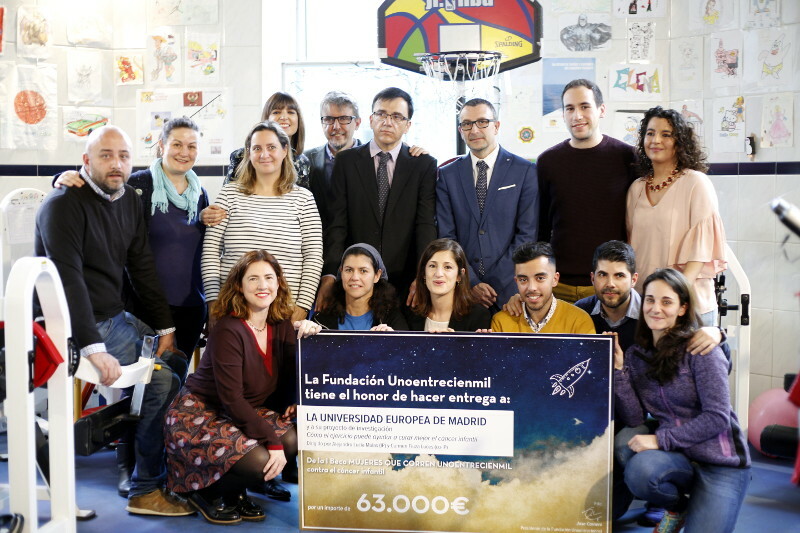 The 1st Unoentrecienmil Research Grant of Women Who Run, endowed with €63,000, is now a reality, thanks to the incredible thrust and social support that the project received. During the next two years a group of Spanish researchers, led by Alejandro Lucía, winner of the 2016 National Sports Medicine Research Award, will study the benefits of physical exercise in recovery from childhood cancer. “We want to carry out the best integrative study of childhood cancer and show that physical activity improves the immune system,” says Alejandro Lucía, senior researcher at the European University of Madrid, when explaining the research project. Every year more than 1,400 new cases of childhood cancer are diagnosed in Spain.Statistics show that 20% of those diagnosed do not overcome the disease, and this study, which will be carried out at the Niño Jesús University Hospital, will demonstrate how physical activity can help to cure pediatric cancer better. This would add even more strength to the need to incorporate physical exercise as an adjuvant therapy in the integral treatment of childhood cancer. “We have found preliminary results that suggest that exercise performed by children with cancer, even in the most aggressive phases of treatment or even during transplantation of hematopoietic precursors, may be beneficial for their immune system. Undoubtedly, this fact deserves a deeper study since the immune system represents our first system of surveillance and defense against tumors. Thus, in this project, we intend to study in depth how a training program (including strength and aerobic exercises) affects the progression of the tumor (biological markers) and the immune response to it. We want to know if exercise, as seems to be the case in some adult tumors, helps not only to with stand better the functional deterioration associated with childhood cancer, which is already of great importance, but helps, even if only partially, to cure this disease”, explains de Lucia, who is accompanied on the project by researchers Carmen Fiuza-Luces and Manuel RamírezOrellana. What if, every time we run, we do it for a social cause? With this idea in mind, Unoentrecienmil created a solidarity bib that you can get by SMS (send AYUDACORRE to 28099) or via web and that you can use in whatever context and whenever you want. All the funds raised annually will be donated entirely to a research project for the cure of childhood leukemia. Can I use my Unoentrecienmil bib even if I wear the race bib? Can I use the number when I train in the park? Sure, do it! Spread the message! Can I add the number to my yoga, football, hockey, skating club … shirt? Of course! That’s the idea. Join the project run by Unoentrecienmil and make your kilometers count. Don’t forget to post your photos on Instagram and Twitter with the hashtags #mujeresquecorren, #unoentrecienmil, #proyectocorre.